Look at this fantastic 2013 Mercedes Benz C 300 4Matic that just arrived at Auto Group of Louisville! This great C 300 is packed full with great luxurious features like Heated Power Leather Seats, Dual Automatic Climate Control, Dual Sunroof, Proximity Keyless Entry, Bluetooth Connectivity, HomeLink System, and much more. 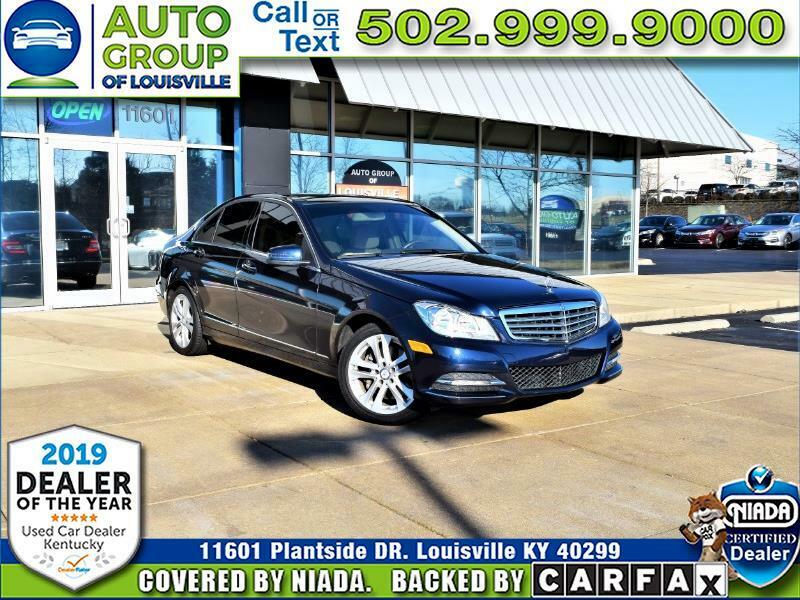 Hurry by 11601 Plantside Drive in picturesque Jeffersontown Kentucky and let one of our Great, Friendly, Knowledgeable Sales Associates show you everything this Mercedes has to offer you!